Hopefully the title of this blog will pique your interest! The two parts are related. Some of you may know that Clyde Tombaugh was the discoverer of Pluto in 1930 while at the Lowell Observatory in Flagstaff, Arizona. Tombaugh was a farm boy from Kansas who was mostly a self taught astronomer. While on the farm in his youth and early adulthood he made his own lenses and telescopes. The telescopes were made from scavenging the remnants of old farm machinery. 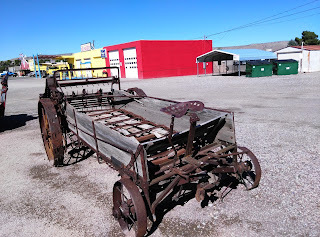 How great it is that old farm machinery morphed into a scientific instrument. 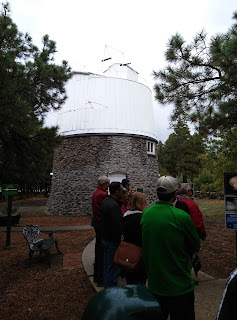 Tombaugh corresponded with the people at the Lowell Observatory and convinced them to hire him even though he had no formal training in astronomy. He was assigned all the nitty gritty tasks to maintain the facilities as well as the opportunity to make observations with a telescope. There were theoretical calculations that there had to be another body beyond the 8 planets already discovered. Variations in the orbit of Neptune seemed to indicate the presence of an additional planet. Tombaugh was given the tedious task of looking for the elusive planet. The process was to use a blink comparator which would photograph the same area of the sky at defined times. By comparing photographs one could observe points of light that move and thus track an object moving in space. It was an onerous task but farm boy Tombaugh stuck with it and succeeded where others did not have the same tenacity. 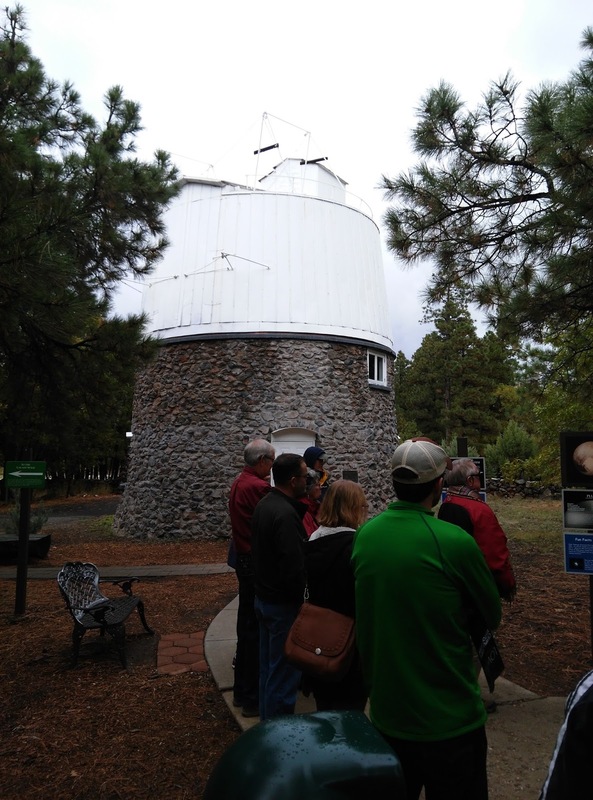 Tombaugh stayed with the Lowell Observatory over most of his career and lived to a ripe old age of 90. He did complete bachelors and masters degrees in astronomy too. Ah yes, he became an esteemed geezer with several international awards! 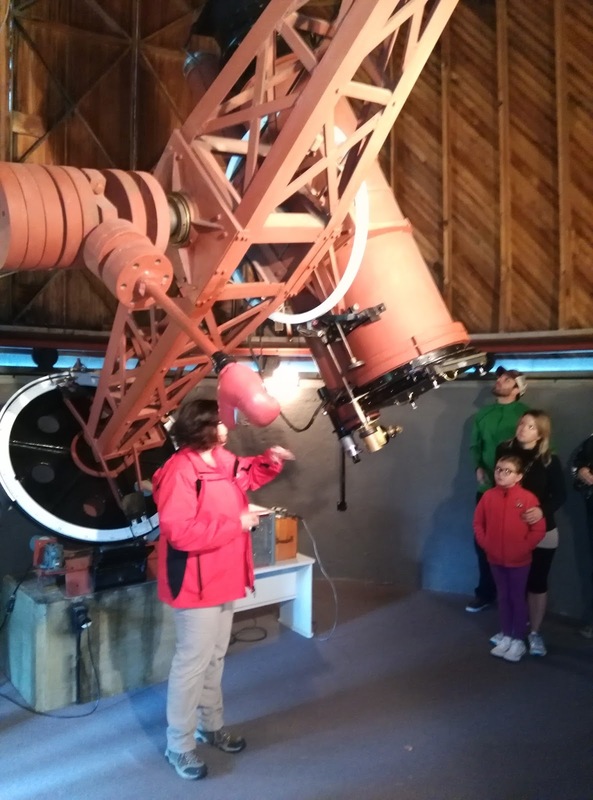 Recently my wife and I visited the Lowell Observatory and viewed the telescope that Tombaugh used for his discovery. How timely, in view of the recent fly by of Pluto by a space probe! Is there a connection to skiing here? Of course! While in Flagstaff we made a side trip to the Snowbowl Ski Area. Perched at a base elevation of 9200 feet in the San Francisco Peaks the lifts will elevate you an additional 2300 feet to a breath taking 11,500 feet. As I hiked there, I struggled to get enough oxygen from the thin air. There was a dusting of snow on the higher elevations. A precursor to the over 200 annual inches of snow recorded there. Our stay in Flagstaff was a nice mix of science/engineering and ski area exploration. 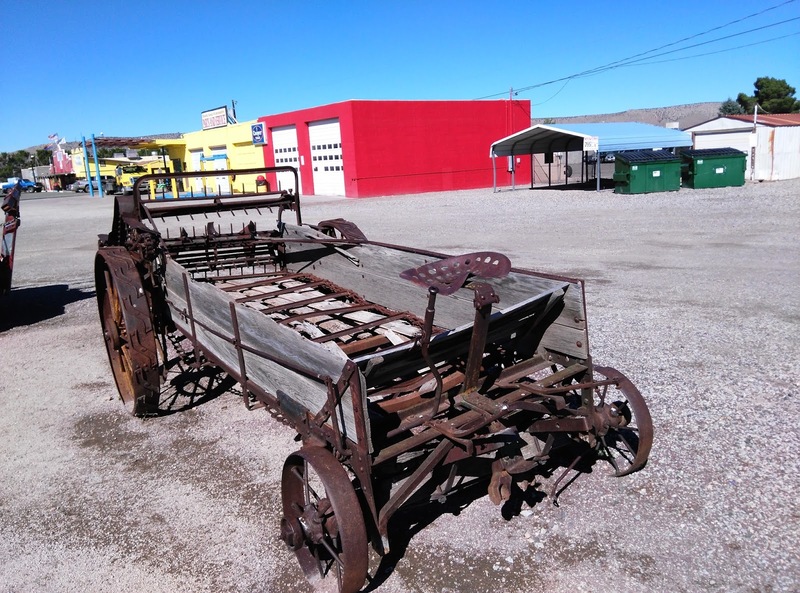 Arizona Machinery Boneyard - Potential Telescope?